Businesses in sectors ranging from agriculture to aviation, construction, mining, shipping and road transport are expected to benefit from a major project that will deliver highly accurate positioning capabilities across the Australian continent and surrounding maritime zones. The 2018-19 federal budget earmarked $160.9 million over four years to develop and operate a satellite-based augmentation system (SBAS), which is capable of determining position with accuracy far greater than standard GPS. The program is spearheaded by Geoscience Australia, which has been overseeing an SBAS test-bed service. As part of that project, the first test signals were transmitted in mid-2017, with the test-bed fully operational from October 2017. As the name implies, an SBAS is an augmentation to GPS. GPS relies a global constellation of satellites that are transmitting signals to the Earth. The satellites transmit information about their position and, courtesy of an atomic clock, the time when a signal was sent. A GPS receiver can use signals from multiple satellites to determine its location. Although GPS is generally used as a generic term for a global navigation satellite system (GNSS), it technically refers to the US-operated system, which in 1973 was created by the US Department of Defense by combining multiple navigation systems. The GPS system (originally known as the ‘NAVSTAR Global Positioning System’) was primarily intended for use by the US military. When the GPS project kicked off in the late 1960s, supporting civilian applications was only a secondary objective (delivered via a less-accurate unencrypted signal — restrictions on the accuracy available for non-military uses were lifted in the early 2000s). GPS has been joined by other GNSS constellations, including the Russia’s GLONASS, the Chinese BeiDou and the European Galileo constellations. Although GPS has become widely used by businesses and consumers, GNSS technologies have “intrinsic limitations,” Geoscience Australia section leader of positioning, Dr John Dawson, told Computerworld. “Your mobile phone will almost certainly have a GPS chip, or as we call it a GNSS chip, determining your location,” Dawson said. “That chipset and receiver and antenna have a capability of locating you with about five to 10-metre level accuracy, which is fantastic for a whole range of applications. Australia’s SBAS will see the creation of a network of ground stations that will help augment the accuracy of GNSS. “It will be a network of stations across the Australian continent that are observing the GPS constellations and determining inherent errors in the GPS constellation,” Dawson said. Those corrections will then be uploaded to a communications satellite and rebroadcast to users. “So, at the same time a user is observing the GPS and GNSS satellites, they’re receiving a correction set which augments the messages that are coming from GPS and improves, in particular, the accuracy of location,” Dawson said. The Australian SBAS, which will deliver a 10-centimetre level of accuracy, is what Geoscience Australia describes as a “second generation” SBAS. ‘SBAS one’ or ‘generation one’ technology is based on augmenting a particular frequency on the GPS constellation. So-called ‘gen two’ SBAS will take advantage of both GPS and the European Galileo constellation. “Effectively, we'll be doubling the number of satellites available to users,” Dawson said. “But also, importantly, it will utilise two signals on those satellite constellations. Using two signals will enable us to create extra high accuracy corrections for the atmospheric effects. “In essence, it's doubling the number of satellites, doubling the number of signals which enable us to model the atmosphere with improved performance. That’s important because the atmosphere is particularly impacted by the geomagnetic environment of the Earth. 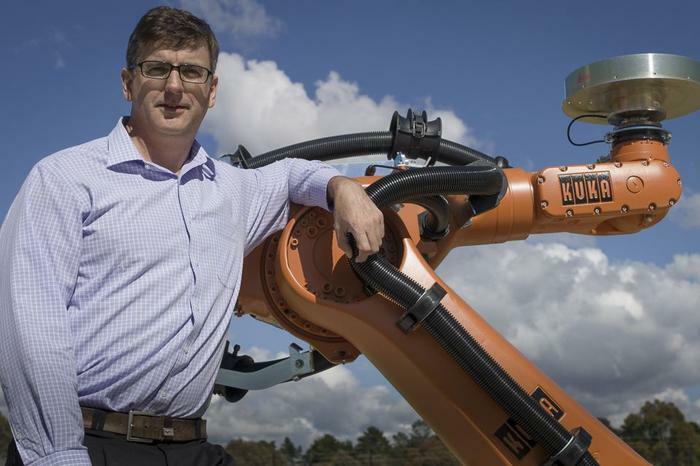 The Precise Point Positioning (PPP) method that will deliver 10cm accuracy is also much newer and has provoked a lot of interest across a range of industry sector, including the road transport sector, Dawson said. “Vehicle automation may have requirements for positioning on the road within the lane at that 10-20-centimetre level,” he said. As part of understanding the potential of an Australian SBAS, FrontierSI — which grew out of the government-backed Cooperative Research Centre for Spatial Information — coordinated a range of industry projects as part of the test-bed process. Under the CRC’s auspices, some 28 projects have taken place across 10 industry sectors. One of the industries expected to benefit almost immediately from the Australian SBAS is the maritime sector, according to Teresa Lloyd. Lloyd is the chief executive officer of the Maritime Industry Australia Ltd (MIAL), which helped coordinate participation in the SBAS test-bed. “The Australian maritime sector is incredibly diverse, from deep-sea shipping, oil and gas production and extraction, to smaller local ferries, dredges, barges, cruise ships, research vessels,” Lloyd said. MIAL seeks to represent the interests of the sector, with members ranging from “blue chip multinationals” to small local operators. Because ships use GPS “for everything”, more accurate positioning will be “hugely beneficial” across the sector, Lloyd said. “The largest benefit, though, is actually quite complex, and that’s actually in the vertical domain,” the CEO said. “When a ship is loaded and it sails from port, they often have very little [distance] between the bottom of the ship and the sea floor in terms of clearance, and that’s finely tuned and finely calibrated. The significant benefits that are expected were reflected in the intense interest MIAL encountered when it put a call out for members to participate in an SBAS trial. The industry organisation targeted the commercial cruise sector for the test-bed project, and had around 100 organisations express interest in taking part. In the end, 16 vessels participated. The SBAS will also be used in the aviation sector to assist aircraft landing across Australia. That has particular safety-of-life implications for the infrastructure used to deliver the service, Dawson said. The 30 to 40 reference stations required to deliver the SBAS will mostly be co-located with other government agency infrastructure, including existing navigation infrastructure operated by Air Services Australia. Because of the future use in aviation, “it will need to be engineered in a particular way that guarantees the performance of the system as a whole in a way that's consistent with the aviation sector,” Dawson said. The service itself is not particularly computationally intensive, according to Geoscience Australia. “The infrastructure that we’re operating in test mode now is effectively a couple of servers in a server room,” Dawson said. “The challenge for us is around the communications infrastructure, guaranteeing with very low latencies that data gets from the sites into that computation system. Ideally, communications links would use optical fibre, but Dawson said Geoscience Australia was “realistic” about the prospects of that in regional and remote areas. In the 2018-19 budget Geoscience Australia also received funds for the National Positioning Infrastructure (NPI) project, which will augment existing Australian GNSS ground infrastructure and deliver positioning accuracy of around 3cm — but only in areas where there is mobile coverage. Satellite has the advantage of being able to deliver corrections across the continent and to Australia’s maritime zones. However, the bandwidth of a satellite connection acts as a limitation. The NPI project will involve the rollout of a 200-station network distributed across Australia. It will support a range of industries that can make use of high-accuracy positioning, though due to its limitations won’t be used by the aviation sector. For the SBAS project Geoscience Australia has entered into a long-term commercial agreement with Inmarsat for access to its SBAS transponder, Dawson said. It’ll be at least four years before the Australian SBAS service is certified for use in aviation, he added. However, Geoscience Australia is committed to providing ongoing test services to promote uptake in other sectors. Dawson said that a 2013 report by consulting firm ACIL Allen found that the kind of precise positioning delivered by an SBAS could deliver “enormous benefits” to a range of sectors. For the last two years, Geoscience Australia has been working with EY on a study of the value of SBAS to the Australian economy. That report, which analyses the impact of SBAS on 10 industry sectors, is expected to be finalised in May, but Dawson said it would show “substantial” benefits.